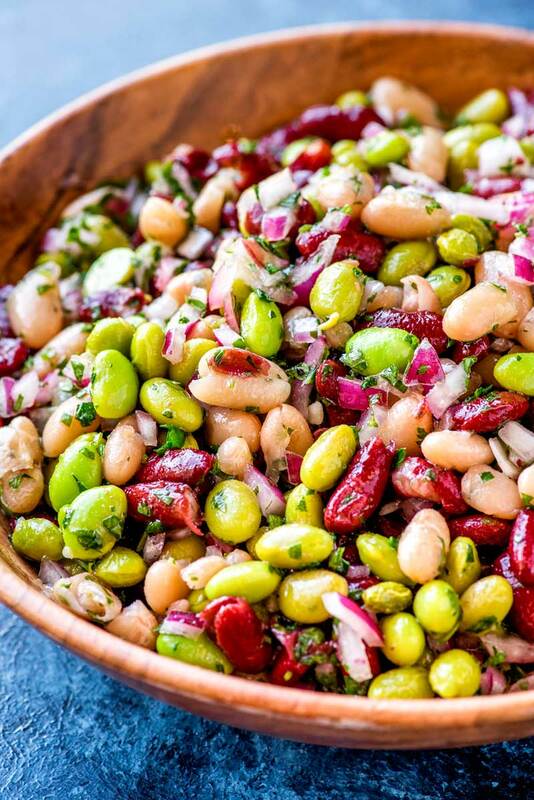 Perfect for outdoor summer parties, this semi-sweet and colorful 3 bean salad is super easy to whip up and a great go-to side dish that fits in any meal. 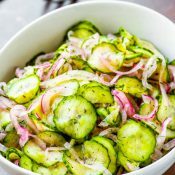 As soon as the warm weather hits I begin to take stock of my go-to side dish options. Because in this house, weekend plans tend to be the spur-of-the-moment, hey-are-you-free, we-just-got-invited type. And the southerner me in me simply can’t show up empty-handed. 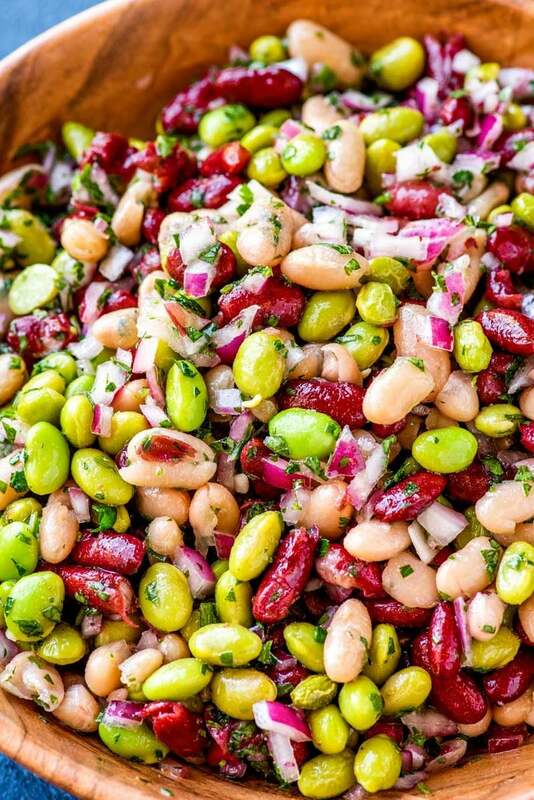 What substitutions can you make in three bean salad? 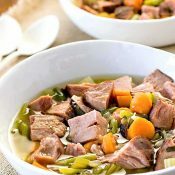 When I was researching this recipe, it quickly became clear that there were multiple ways to prepare it. 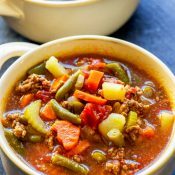 For example, some had a savory sauce (while the recipe here is sweeter) and some used a lot of fresh produce (while this recipe is 50/50 fresh to canned). 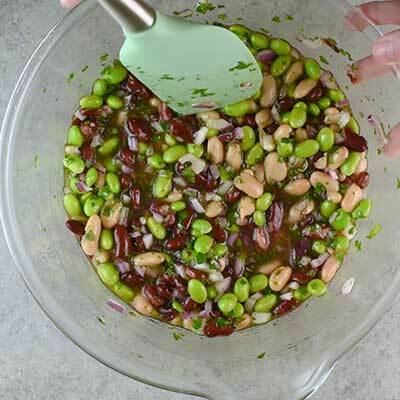 Another thing I noticed was that no matter the combination of ingredients, the bean colors in this salad always seemed to be red, white, and green. However, you do have more choices when it comes to the white and green beans. Plus, you can get an extra dose of green from adding parsley (like I did) or celery. Can you make three bean salad in advance? Yes! 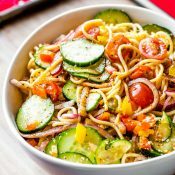 In fact, this salad needs to marinate in the refrigerator for at least three to five hours, so it’s an ideal dish to make ahead earlier in the day or even the night before. 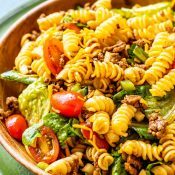 From my experience, this salad is best made no more than 24 hours in advance. If you need to store it longer than that, I’d recommend draining any excess dressing before storing it in the fridge. 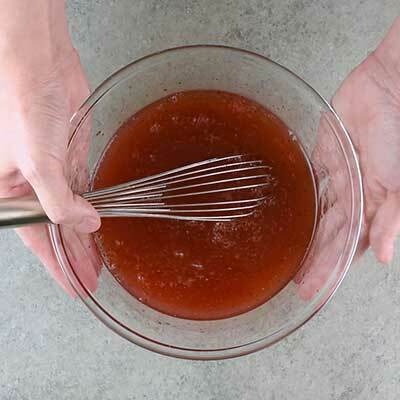 Doing this might limit the flavor of the marinade but it will save the other ingredients from losing any texture. Is three bean salad served hot or cold? 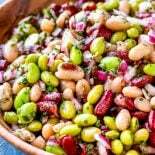 In most cases (and with this recipe) 3 bean salad is chilled and served cold. Can you reuse read three bean salad juice? This is an interesting (and fitting!) 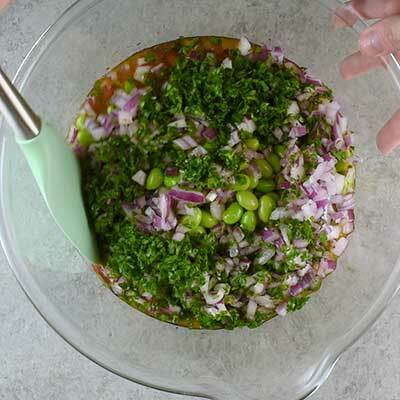 question for this recipe, as it makes a lot of dressing and you need to strain any excess from the bean salad before serving. I’ve personally never used the excess dressing for anything, but I think the only logical answer here would be yes. The dressing is still dressing and there’s no reason to discard it if you think you have a use for it. If you’re going to store the leftover dressing in the refrigerator, I’d recommend using it within one to two days. Can you freeze this salad? Yes, you totally can! 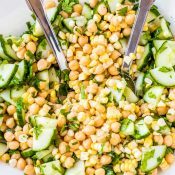 When properly stored in a sealed container, this salad should last up to three months in the freezer. 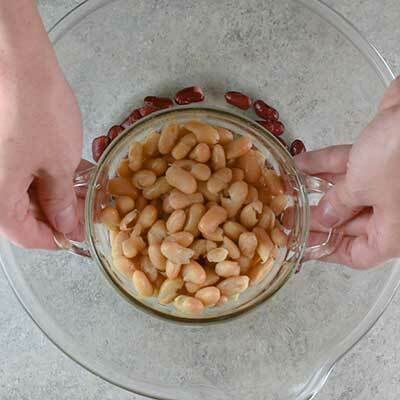 How do you make three bean salad? 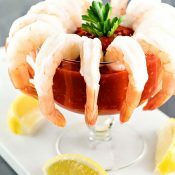 This next part is only a photo tutorial of the recipe steps. 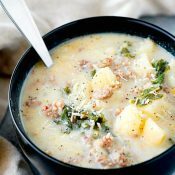 If you’re looking for the full recipe measurements and instructions, scroll down to Recipe Details. 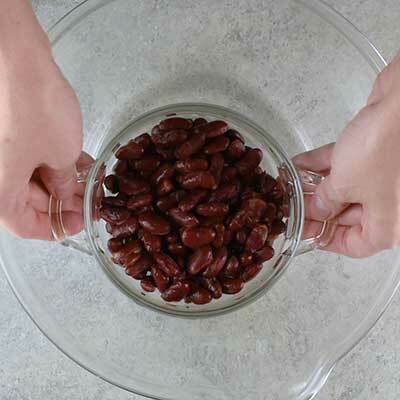 Step 1 – In a medium bowl, add the red wine vinegar, sugar, olive oil, and salt and pepper to taste. 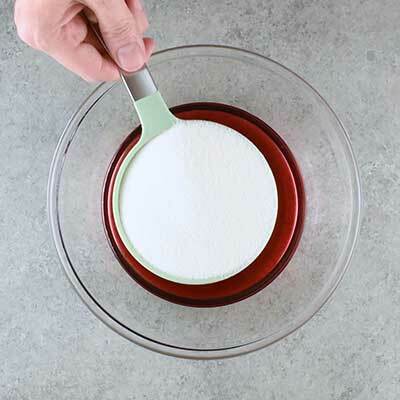 Give it a good whisk, mixing until the sugar is dissolved. 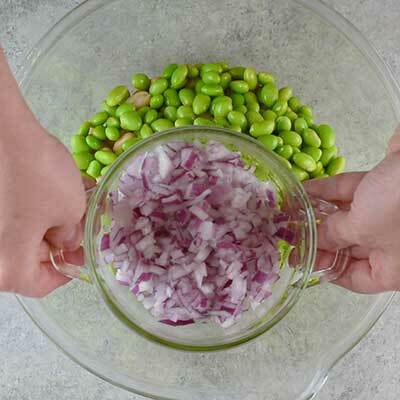 Step 2 – In a large bowl, red kidney beans, add the edamame, cannellini beans, red onion, and parsley. 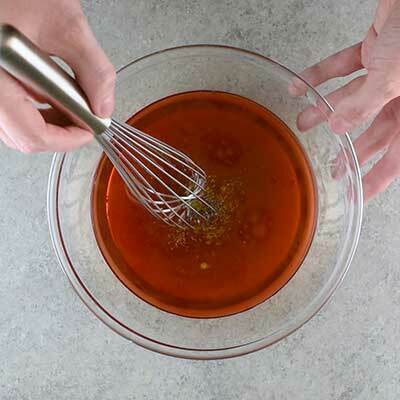 Step 3 – Pour the dressing on top. Step 4 – Mix it well. Step 5 – Cover and chill the salad for three to five hours. 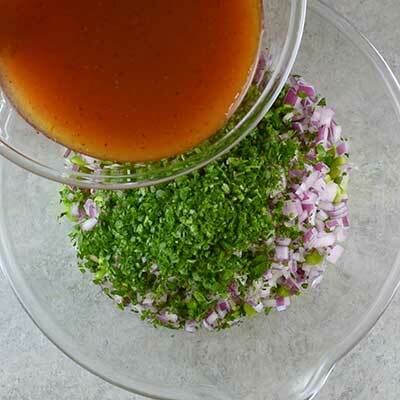 Step 6 – Drain any excess dressing. Optional: Fill a small bowl with cold water. Add chopped red onion to bowl and let sit for 10-15 minutes, then drain thoroughly. 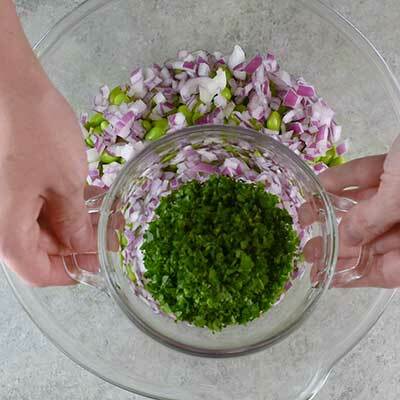 This step will help soften the taste of the red onion, but it can be skipped. 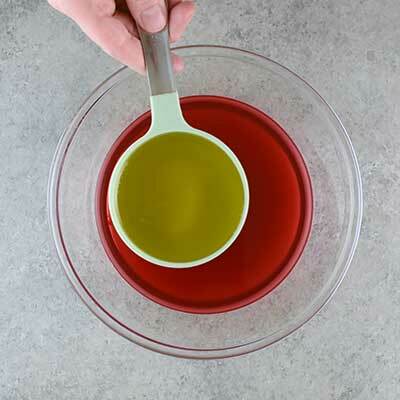 In a small bowl add red wine vinegar, sugar, olive oil, salt, and pepper, then whisk to combine. 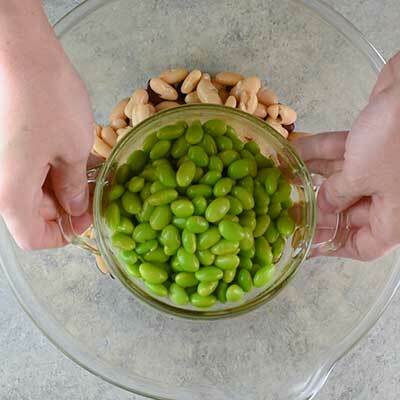 Set bowl aside. 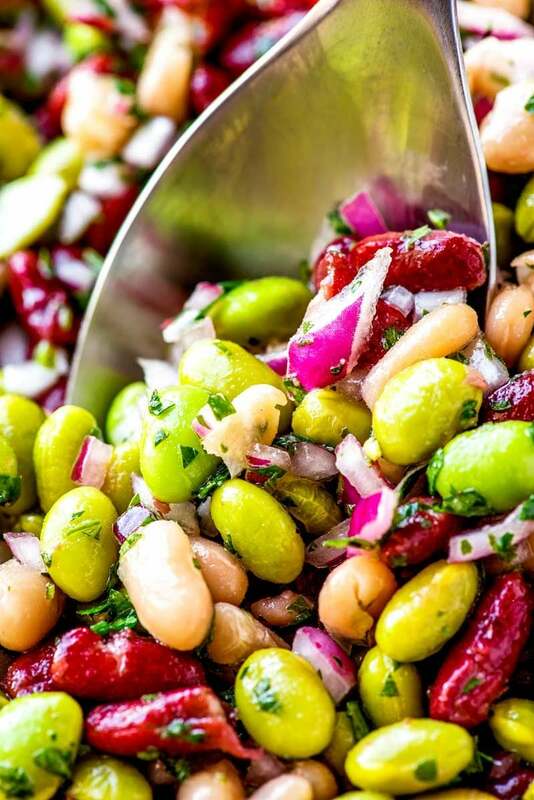 In a large bowl, red kidney beans, add edamame, cannellini beans, and fresh parsley. Do a quick mix to combine. Pour prepared dressing on top of bean salad, then toss again to coat in dressing. It's okay if there's excess dressing; this can be drained later. Cover bowl with plastic wrap and chill in the refrigerator for at least 3-5 hours. 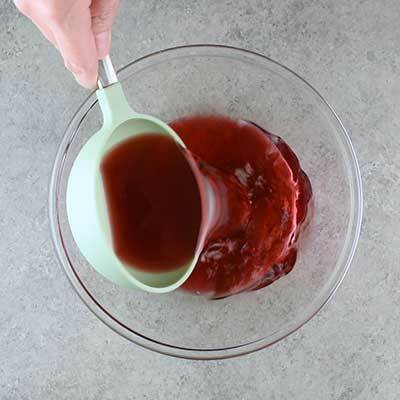 When ready to serve, drain any excess dressing (you can either discard it or set it aside to be used on the salad as needed) and stir salad a final time.